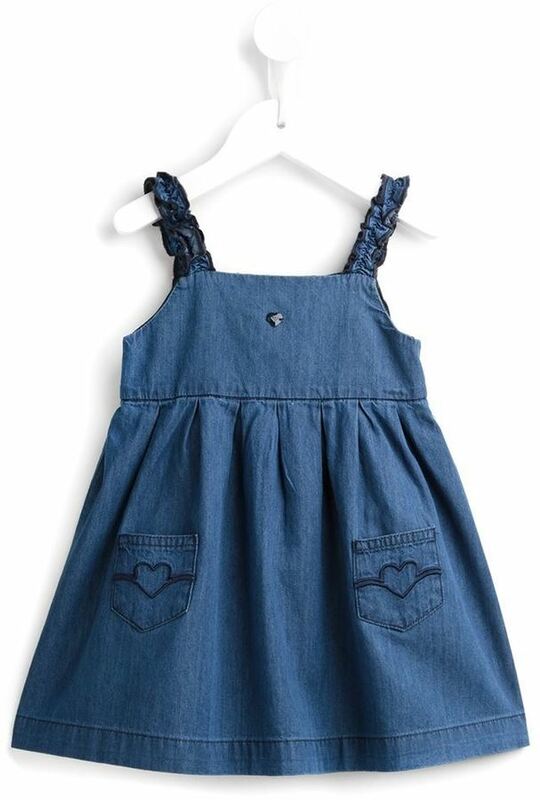 Suggest that your little one reach for Armani Junior denim heart pocket dress and a blue cardigan for an easy to wear, everyday look. This ensemble is complemented really well with white sneakers. 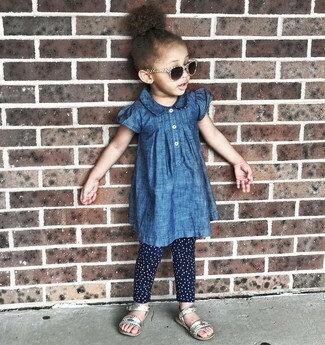 Suggest that your daughter opt for Armani Junior denim heart pocket dress from farfetch.com and navy polka dot leggings for an easy to wear, everyday look. As far as footwear is concerned, let your child rock a pair of silver sandals.